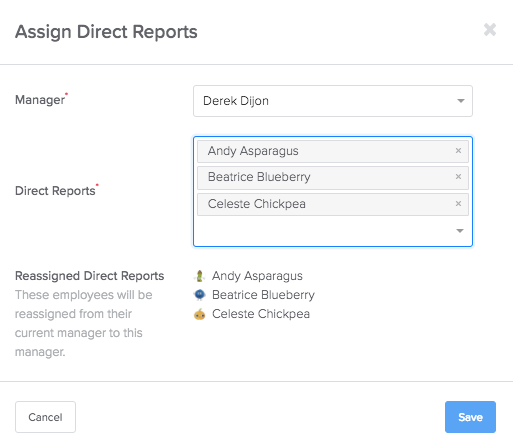 A manager who is assigned to their direct reports will be able to see the employees' profiles. Managers never have access to employee’s bank information, hiring documents, benefits, or social security numbers. You can choose if you'd like them to see their direct reports wages/pay information. Choose Managers from the menu in the right-middle of the screen. 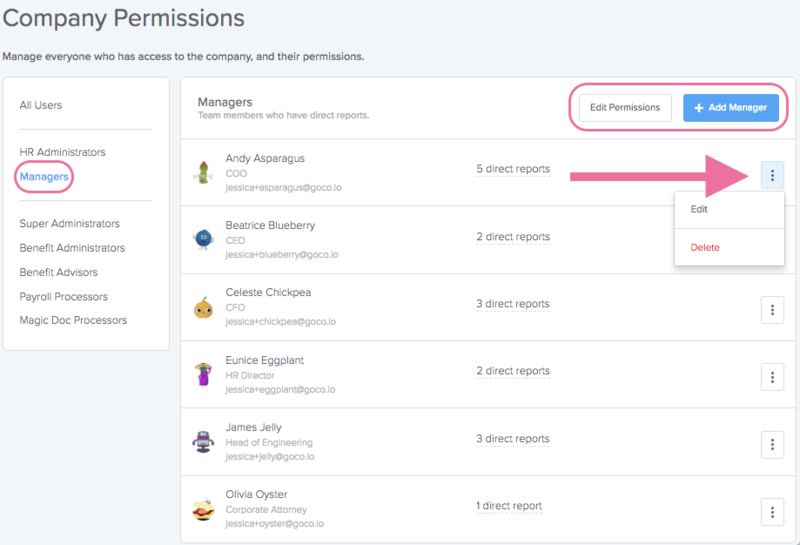 Edit Permissions: Allow managers to view salaries, wages, and stock options for direct reports Managers never have access to employees’ bank information, hiring documents, benefits, or social security numbers. + Add Manager: This is where you can assign/re-assign one or many direct reports. Delete: From here you can revoke someone's manager status meaning they will no longer have direct reports assigned to them. Edit: You can add or remove direct reports from this individual managers access.